Nursing and health resources at your fingertips! CINAHL (Ebsco): Articles from nursing and allied health journals. Health Source: Consumer (Ebsco): Collection of consumer health articles. Health Source: Nursing/Academic (Ebsco): Collection of scholarly journals from the fields of nursing & other health disciplines. CINAHL, Health Source Consumer, and Health Source Nursing in one search: Search three EBSCO health and medical databases in one search. Nursing & Allied Health Source (ProQuest): Full text journals and dissertations plus Systematic Reviews, Evidence Summaries, and Best Practice Information Sheets from the Joanna Briggs Institute. OVID Nursing Journals for Community Colleges: Full text nursing journals. If you have any questions or need assistance using these databases, please contact the Reference Librarians at libref@elgin.edu or 847-214-7354. 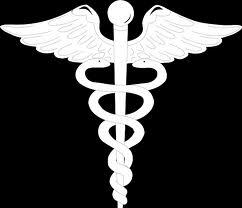 ECC Library has a new database for journals in the subject of nursing. OVID Nursing Journals features access to more than 40 full text professional journals. To search the journals, click on the “Elgin Community College Journals @ Ovid” link. 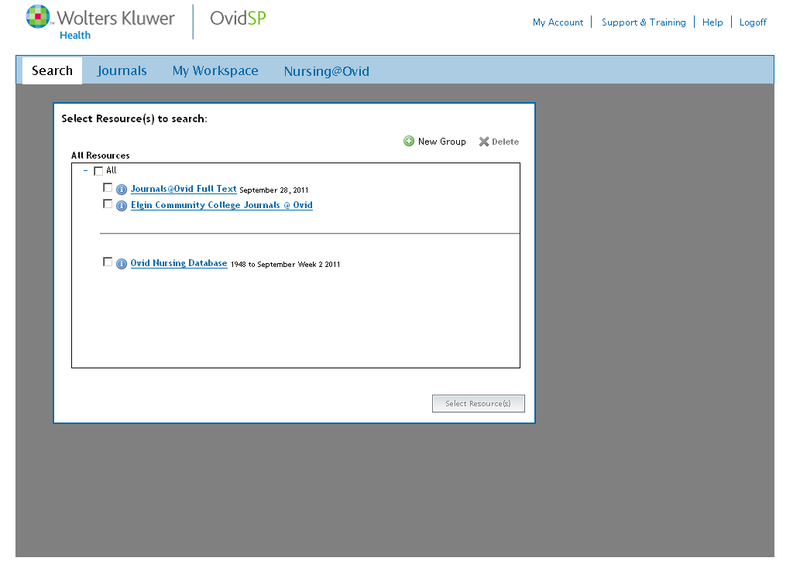 To search for a specific journal to see if it is available through Ovid, use our EBSCO A to Z search tool.